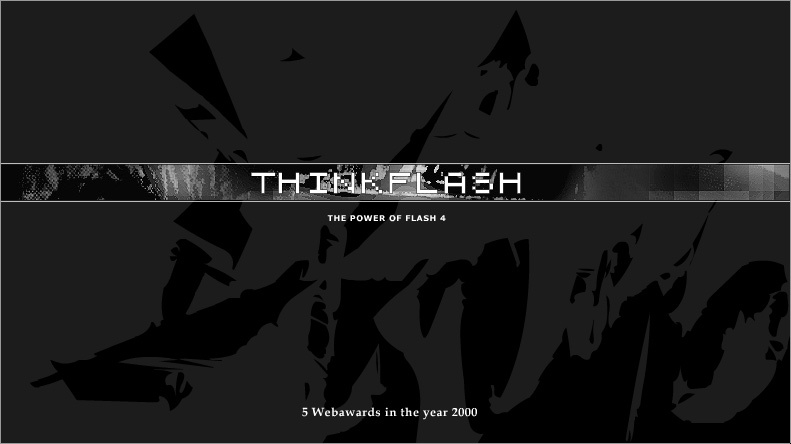 The Thinkflash website was developed in 1998/1999 as an experimental website by me, Michael Kuphal. The focus here was on testing the latest computer technology for websites. 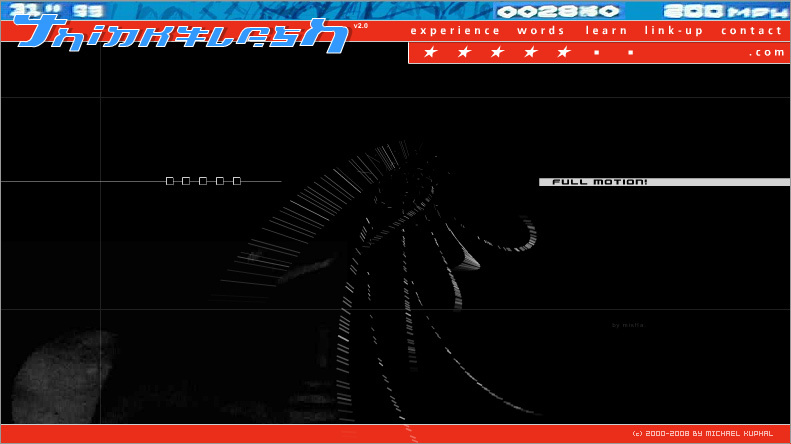 I started with macromedia Flash Version 2. 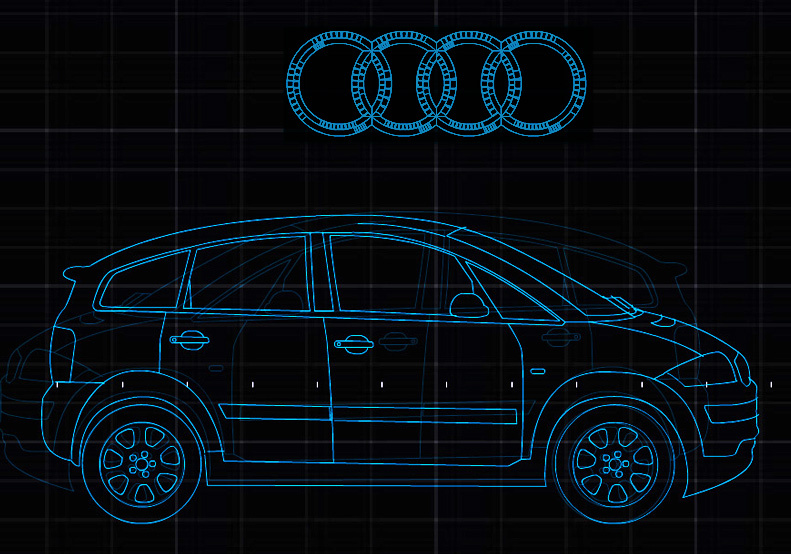 In addition, the Thinkflash Website functioned as a contact and portfolio website for my coding and developments and resulted in long-term contacts with international major agencies and projects such as the one for AUDI and the IAA 1999 (International Motor Show in Germany) - one of my first bigger Projects. 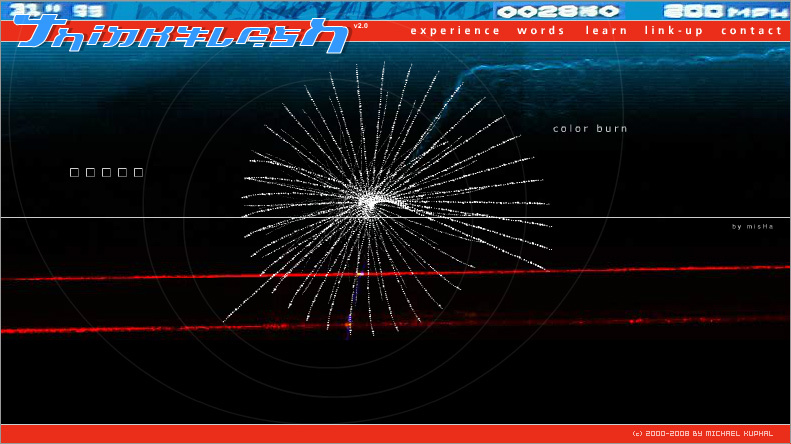 Flash version 1 was first released by Macromedia in 1997. 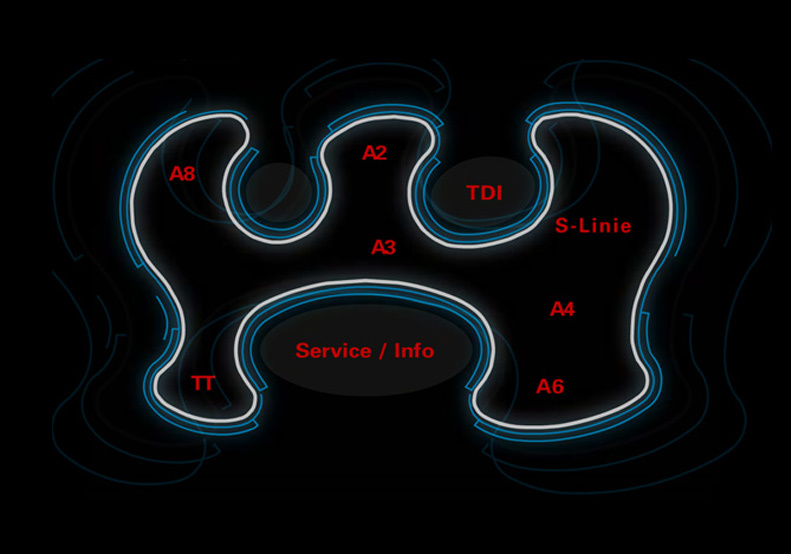 The integration of audio and raster graphics formats was integrated. The rendering of animted and very fast loading vectors on a website was a big step forward for all creative webdevelopers and designers! April 18 2005 Adobe Buys Macromedia for $3.4 Billion USD. The deal combines two well known brand names in software at 2005 when both are facing increasing competition from Microsoft in the market for creative software. In 2007, more and more mobile devices were used but the flash technology was primarily designed for desktop computers at that time. 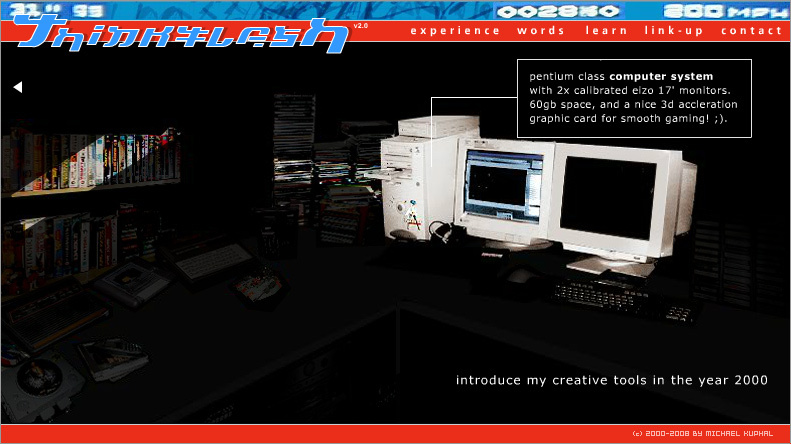 Flash was created during the PC era. 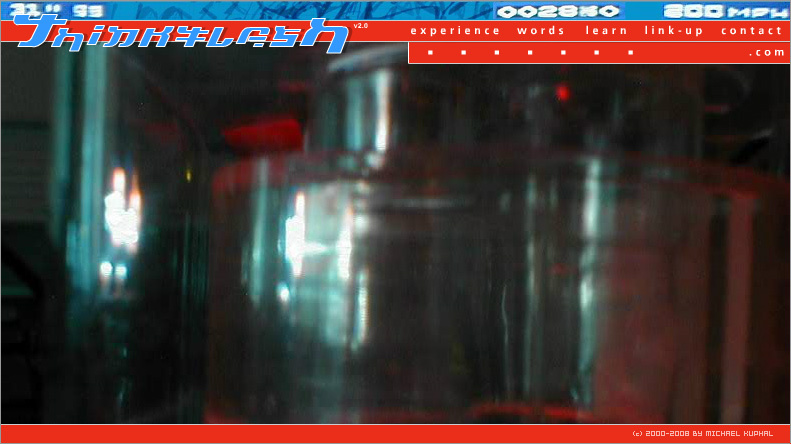 In addition, Flash has not performed well on mobile devices. 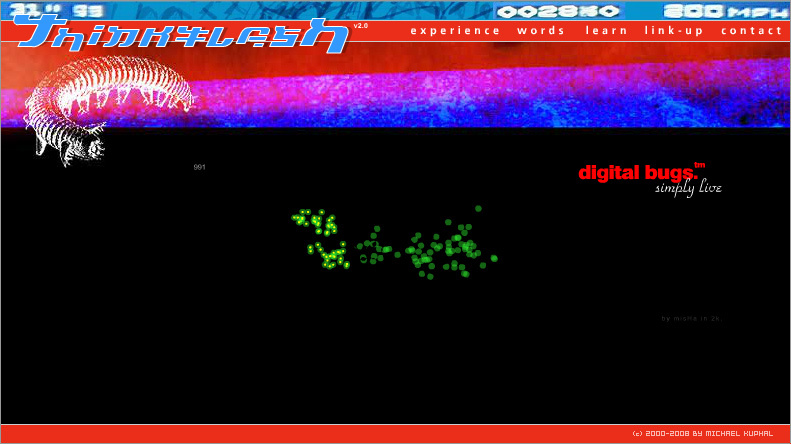 Flash was designed for PCs using mice, not for touch screens using fingers! After 2010 Adobe should focus more on creating great HTML5 tools for the future. More and more open source platforms and projects are born. Jul 25, 2017 Adobe is planning to end-of-life Flash (read full report on Adobe Blog). 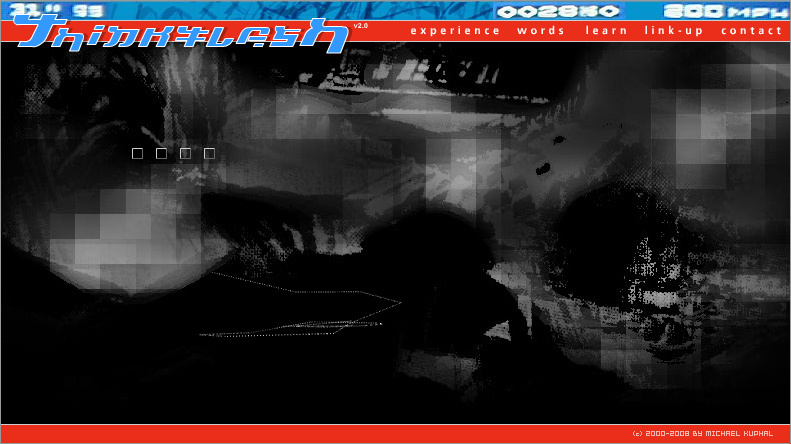 "Specifically, we will stop updating and distributing the Flash Player at the end of 2020 and encourage content creators to migrate any existing Flash content to these new open formats." I would like to thank all developers who also worked with Flash and lived in Berlin at that time and were pioneers of new Web-Technologies. It was a wonderful time and we produced big commercial projects! Many digital art and experimentation platforms have been created by very talented people. Thank you!